Is There A Best State To Retire In? Clearly a person should not let tax issues drive their financial decisions. Nor should a person move to a state simply because its taxes are low. However, if you’re taking a look at several retirement destinations, then the best state to retire in may well be the one that will let you keep the most of our retirement income. It is well known that Arizona is a major retirement destination. Lots of sunshine, an abundance of things to do, and a low personal income tax rate. The first $2,500 of Social Security benefits are exempt as retirement income. Does this make Arizona the best state to retire in? There is more good news; read on. Likewise, when you have homes in more than one state, you may be able to save money by establishing residency in the state with the lower tax burden. However, if you do that, be careful. CCH, a provider of tax information and tax software, suggests states are looking more closely at part-year resident returns. It is important to register to vote and obtain a drivers license in the state a person chooses to spend more than one half of the year in their best state to retire in. Of the ten states imposing the lowest taxes on retirees in the U.S., Kiplinger’s ranked Arizona No. 4 on their list of best state to retire in. Arizona’s state sales tax has dropped a percentage point to 5.6% when a temporary tax expired in June 2013. However, what goes down may also go up. It is politics. Currently, all 15 counties levy a sales tax, ranging from 0.25% to 2%. Arizona state tax excludes food for home consumption and prescription drugs. Tax jurisdictions set property tax rates and can vary considerably from one area of Arizona to another. As of 2014, Median property tax on a $187,700 median-valued home is $1,356. That is according to the Tax Foundation. Single homeowners 65 and older who earn $3,750 or less and married couples who earn $5,500 or less are eligible for a tax credit of up to $502. The tax information provided is general. 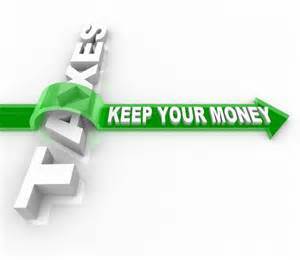 Please seek advise from your tax accountant for further guidance to your specific situation. Arizona is a popular place and it may be the best state to retire in OR a place to escape those long winter days and nights. So, if Tucson Arizona or one of the surrounding communities is on your short list, give us a call. We will be happy to discuss home prices, property taxes and areas that will meet you lifestyle choices.